The hype has already started around the launch of COD Blackout, and it’s all based on the initial reaction to this week’s beta. It’s the first time a lot of players have been able to trial the new mode, which is still being tinkered with. The overall feedback has been positive, although Treyarch has confirmed they hope to refine the item system. Markets have also responded to how well COD Blackout has come over with fans and the reaction seen on Twitch. While numbers have dropped down from launch viewing figures, there’s still 145,000 people watching the new game in beta phase. Activision market value rose following the launch of the PS4 beta, which will be followed by further testing on Xbox One and PC. 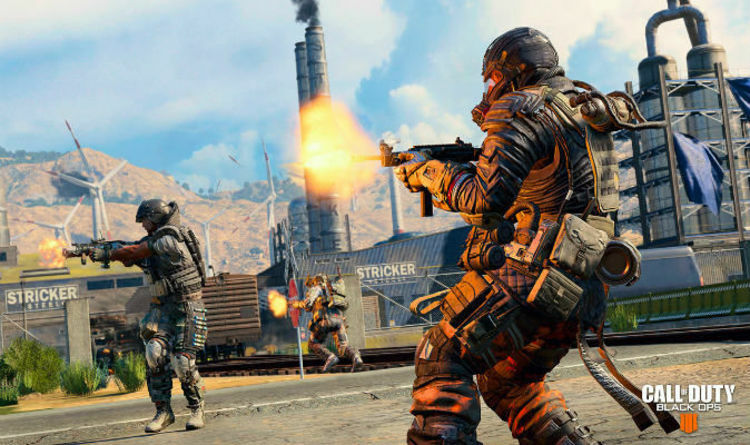 Benchmark, an American venture capital firm, has backed COD Blackout to be a big hit for Activision this year. “Activision’s “upcoming Call of Duty: Black Ops IIII: Blackout, Battle Royale (BR) mode, PS4 beta launched yesterday, greatly exceeding our expectations. Buzz from streamers was sensational, in our view,” analyst Mike Hickey is quoted by CNBC. “Popular Twitch streamers were gushing on the quality and fun of the play, while subscriber comments were calling Blackout a Fortnite and/or PUBG killer. “We believe Blackout will be a potentially massive hit,” he added. CNBC also reports that Activision Blizzard shares are up 17 percent this year through Monday. It’s interesting to see comparisons being drawn between Blackout and Fortnite at this stage. While both offer Battle Royale gameplay, the way in which they are structured are completely different. It seems unlikely that even a Call of Duty release could completely upend a game that is free-to-play. Especially when you compare that to Activision’s system of releasing new games every year. PUBG seems like a better fit when it comes to how the games are structured, especially when you consider players must buy PUBG on Steam or Xbox One. It will certainly prove interesting when October rolls round to see if Call of Duty Black Ops 4 can make a proper dent against the two market leaders in the Battle Royale genre. Speaking about post-launch plans, Design Director David Vonderhaar provided a few hints at what will be coming next. “To be totally honest, I’m just trying to make it to launch right now, but I know that Blackout is not done – it’s really just the start of that,” he reveals. “We have a great experience that we are happy to put in hands of fans starting on today, but where we go from there is a dance that we’ll do with the community. “The development process for Blackout was fairly intense. As a team, we had to take a new approach to make something new like this – as a studio, as a technology base, as a design team. It was exciting – and now it’s here, so let’s go.